We have developed a series of elevators to meet the increasing demands of the market and we play a vital role in overall building operations. 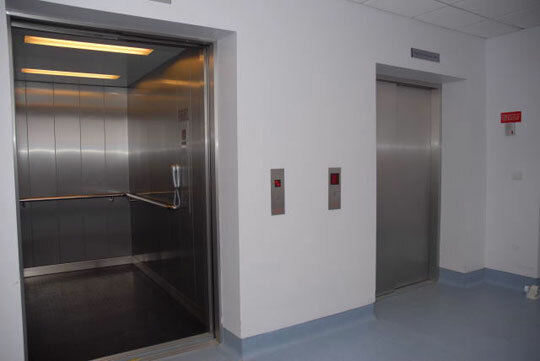 The quality of the elevator system overall determines the degree of a building’s service ability and at Unique Elevators, we specialize in providing Hydraulic Lift Services in Thane. We design and customize our elevators to meet your building’s specific requirements and are capable of building the most efficient, economical and reliable elevators that you can easily install. At Unique Elevators, together with our skilled and professional architects and interior designers, we develop special lift designs. We have been in the business of Manufacturing elevators for years now and our experience has helped us provide the best Hydraulic Lift Services in Thane. Circular hydraulic lifts are exclusive and these are designed to best match your interior scheme. Using our technical specialty, we offer these lifts at a reasonable price. We believe each fitting and fixture in your house, hotel or the assigned place represents your class, the reason being we focus on the quality of lifts we Manufacture. We offer a quality range of Hydraulic Lifts to our respected customers. Our range of Hydraulic Lift is available in different models, capacities and other specifications to cater variant client's requirements. And if you observe any issue with you lift, you have got our back. At Unique Elevators, we are always ready to fix any and every problem detected in elevators. We never quit on our Product. Be it about providing you the elevators or fixing your elevator we are just one call away and this makes Unique Elevators stand out in providing the best Hydraulic Lift Services in Thane and other parts of Mumbai. We ensure our Clients that we check each and every part of the Elevator that we provide. Our testing is based on certain well-defined parameters before they are dispatch to the client's end capacities. We are known to be Leading Manufacturers of a comprehensive range of hydraulic lifts, hydraulic elevators, hydraulic lift platforms, elegant hydraulic lifts that are specifically designed by our skilled professionals for our clients. Furthermore, our Hydraulic lifts are considered as safe and economically sound by our clients. What Makes Unique Elevators Unique? We are one of the most renowned providers of Hydraulic Lift Services in Thane, India. We make use of state-of-art-technology while manufacturing our lifts. We comprehended to the need of equipment in an advanced way, giving the best quality round the clock. Apart from all these, our range is also easy to operate and we also provide a customized solution in order to meet the exact demand of our customers. We maintain a healthy relationship with our customers, which in the end has enabled us to grow at a rapid rate in the era of stiff market competition. Why prefer Hydraulic Lifts? Well, there is No need for deep pits and head rooms. It does not require conventional lift well/room. It can come down in case of power cut by opening the manual valve. We have built a state-of-the-art infrastructure setup, which enables us to manage and handle all the given resources in an efficient and skillful manner. This helps us to roil productive solutions out of each given project assigned to us. Working as an even unit, the team of experienced professionals and other skilled employees give their best 100% effort in order to achieve the entire assigned project in the postulated period. Most importantly, we make sure to test the above-mentioned range on various quality parameters before dispatching them to valued clients. In case you’re looking out for Hydraulic Lift Services in Thane, Mumbai or Navi Mumbai? Don’t be hesitant and call us out. Owing to our vast industry experience, we are a well-known manufacturer of Hydraulic Lifts and are counted as one of the Top Hydraulic Lift Manufacturers in Thane, Mumbai & Navi Mumbai. Usually, a hydraulic lift is an accurate option to use in buildings which have a travel distance up to 20 meters or below. These types of lifts or elevators are ideal to install in small level industries, showrooms, corporate offices, godowns (warehouses) etc. These hydraulic lifts work on power consumption and are able to lift heavy weight loads. Also, these lifts consume the power while going ascending but do not use power while coming down. A hydraulic lift does not need any machine room but needs a small space for placing power-pack and control panel. We are the prominent Hydraulic Lift Manufacturers in Thane and our team takes complete pleasure in manufacturing some latest high-tech designs and quality rich hydraulic lifts for our valued customers. We have a collection of some exceptional and modern looking hydraulic lifts. These are designed precisely for the use of people and residents in order to lift people and goods with ease. 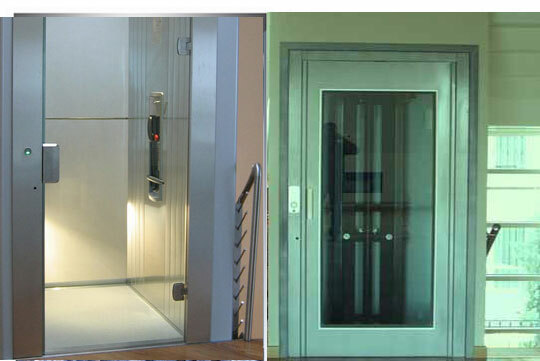 We can also manufacture these lifts in a personalized requirement for our patrons. We are not just Hydraulic Lift Manufacturers in Thane but we are even counted among one of the finest hydraulic lift’s suppliers in India. Moreover, we give aid to the clients to avail a high-quality reparation and installation solutions of hydraulic lifts of all kinds. Our expert engineers and technicians are able to do needful repair or installation of all types of hydraulic lifts in an instant period. Established in the year 1985, we have been the eminent Hydraulic Lift Manufacturers in Thane and exporter of Hydraulic Lifts. We are known to be nurtured by the skill of producing the best of equipment. We offer cost-effective solutions to our customers without compromising on quality, which shows our commitment to serving clients with both hands. Moreover, we place strong prominence on technological innovation while executing the job of manufacturing of hydraulic shocker. Being one of the most trusted Hydraulic Lift Manufacturers in Thane, we make sure that our Hydraulic lifts and types of machinery are flawless in the range we take a certified range of basic materials and use advanced technologies for manufacturing lifts. Our quality products are extraordinary in the industry and admired for their sturdy designs, cost- effectiveness, high strength, and dependability. Plus, we even give customized products available in different shapes and sizes in as per the client's budget. What are the special features of out Hydraulic Lifts? Can reach heights up to 20 Meters without any strain. Hydraulic Lift Manufacturers in Thane provides multiple Hydraulic lift options for perfect working support in areas like warehouses for cargo lifting as well as in other process applications. We are involved in offering a wide gamut of Hydraulic Lifts to our Clients and Customers. Manufacturers. 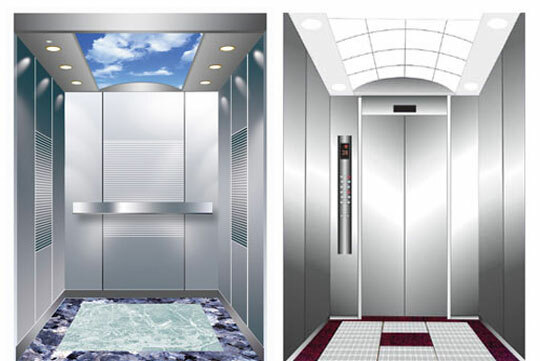 Unique Elevators is a leading organization of Hydraulic Lift Manufacturers in Thane. Our Lifts are highly appreciated as it has resistance to abrasion, it requires minimal maintenance, it has a longer service life. Also, our team focuses on its excellent finish and perfect design. We use various quality parameters to test our entire product range and then only approve it for final supplies. We are happy to inform you that we manufacture and install hydraulic lifts which can offer you long service life and trouble-free annual maintenance. Do contact us for further queries.